I got an awesome surprise in the mail! 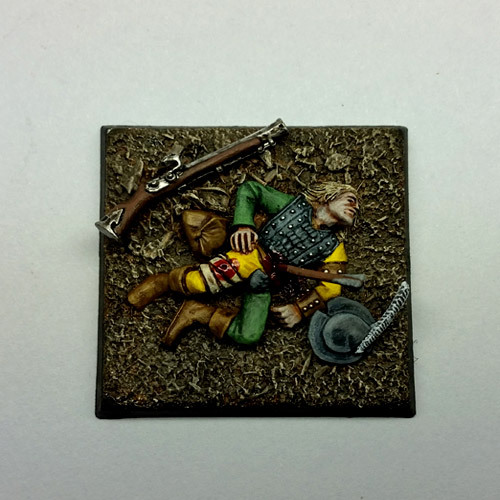 Perfect figure for my Marienburg army, and beautifully painted! Quite good, and yes, fits your army perfectly. a couple of grass tufts might not go amiss though. Yes, he said he left the flock/tufts off so that I could match my own basing. Neat. Where is the figure from? Set of Mordheim casualties. I wish I had gotten those and the Averlanders when they were available. Very cool that I got this one in the trade!